It’s Labor Day weekend, marking the unofficial end of summer. Time to go back to school; time to bring out the sweaters. Time to start thinking about the Holidays. While you’re having your last bit of summer fun, please be responsible and don’t act like an idiot. It’s all fun and games until someone loses an eye. Or their life. In 2008 Labor Day was only a hair’s-breath behind the 4th of July in fatal accidents due to an intoxicated driver. From 1998 to 2008, an average of 503 people died annually during Labor Day weekend, 40% of those deaths were due to drunk drivers. The statistics would be better were it not for the some of the public’s continued stubborn refusal to wear seat belts. Kevin T. Fearn, Senior Statistical Analyst for the National Safety Council, said that only 42% of victims who died in passenger car and light truck crashes in 2008 were wearing their seat belts. A study by NHTSA found that 18% of car drivers still don’t use them. Women are 5% more likely to use seat belts than men. 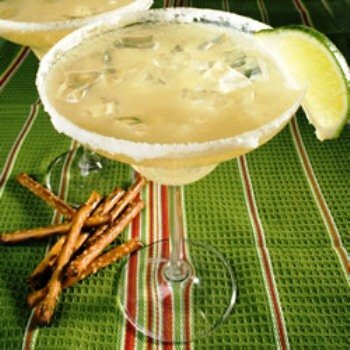 That being said, if you’re looking for a fun new drink to make this Labor Day weekend, try a beer margarita!